Some pieces from this excellent collection to share with you. 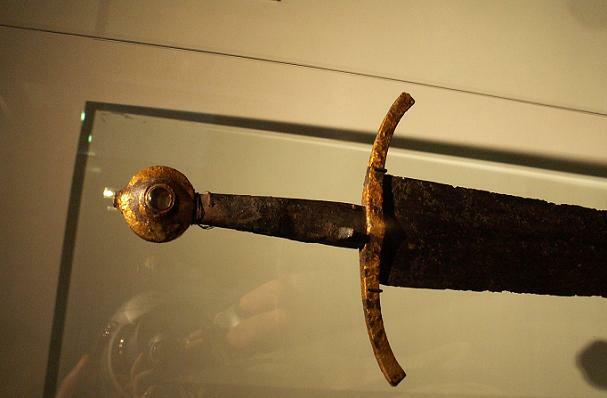 The first sword is dated 1350 A.D. 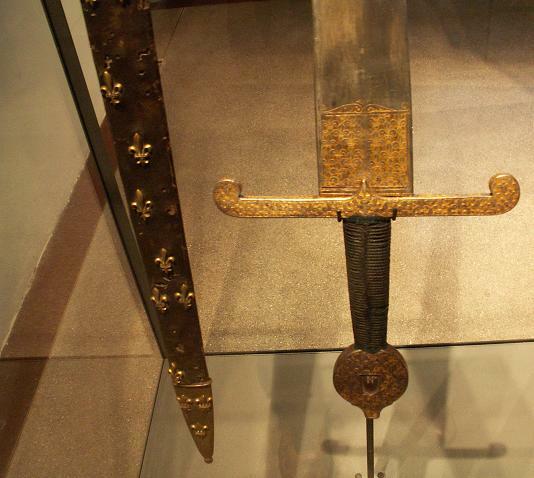 The next sword is French and is dated 1480 A.D. Look at the close-up of the blade and how well it is preserved. 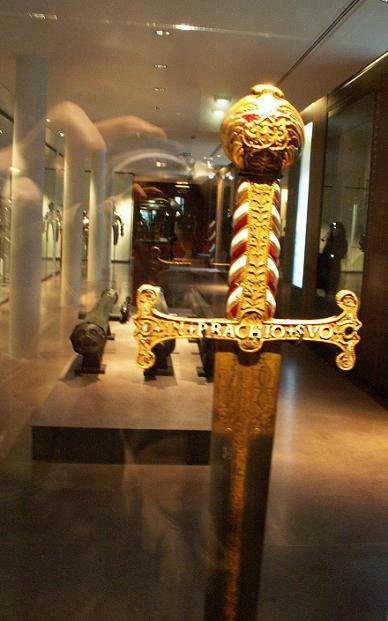 The following is the sword made for Francois I, the blade is Italian attributed to 1480 A.D.
Look at that Scottish Claymore, that is really lovely. Thanks for the lovely photos. 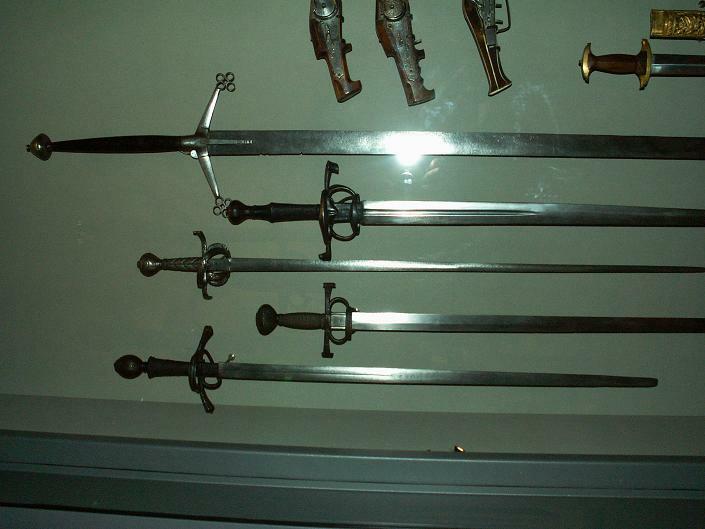 I've seen drawings of the first two swords, but never photos of the actual pieces. 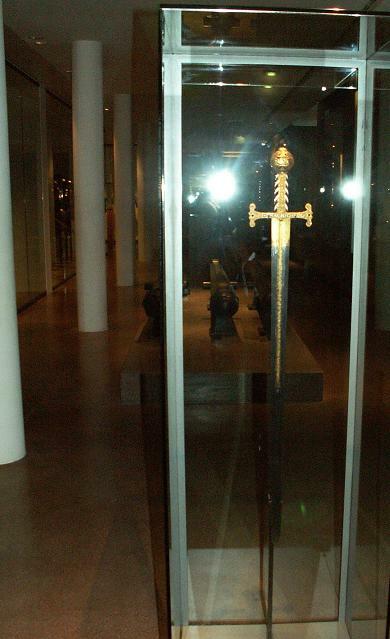 The first sword, the possible royal sword dated 1350, is Type XIV. 8 in Ewart Oakeshott's Records of the Medieval Sword. The inscription reads (according to Oakeshott): "NULLA DE VIRTUTIBUS TUIS MAJOR CLEMENTIA EST" ("Nothing of your virtues is greater than clemency"). It's nice to see a different type XIV; there aren't a lot of them out there. 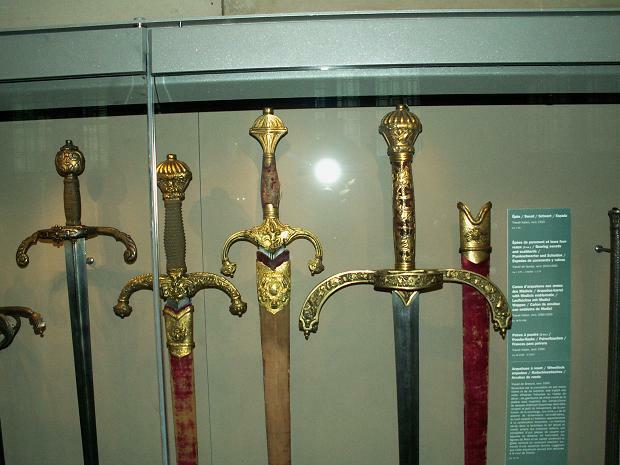 It's also nice to see the gold plating on the hilt in colour. The second sword and scabbard, dated 1480, is in a black & white illustration in Paul Martin's Arms and Armour from the 9th to the 17th Century. 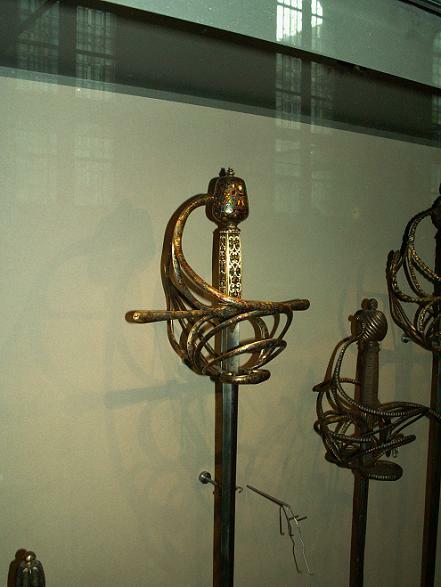 According to the caption in Martin's book, the sword is the parade sword of the Constable of France. It's lovely to see this in colour. a verse from the Magnificat. He gave power (strength) to this arm (literally: he made power into his arm). 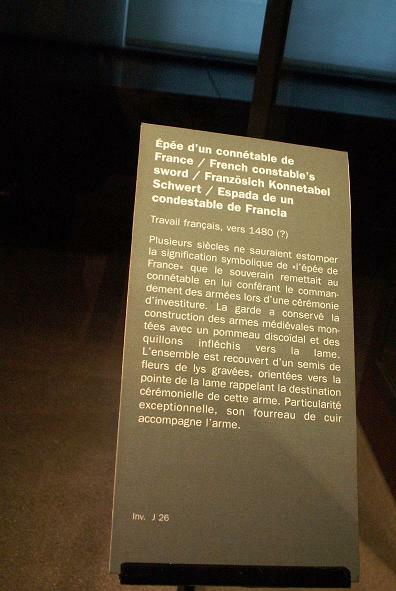 Edit : the notice of the first sword says it has a fuller. Can't see it from here however. 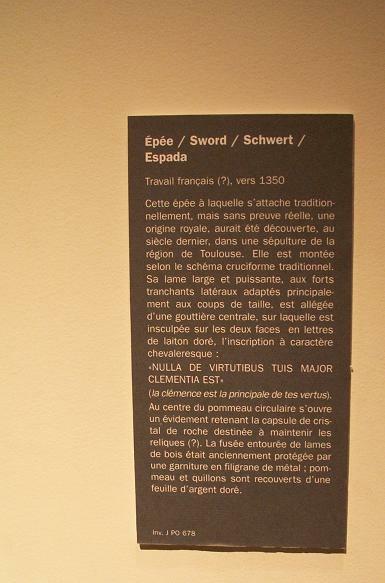 the notice of the first sword says it has a fuller. Can't see it from here however. 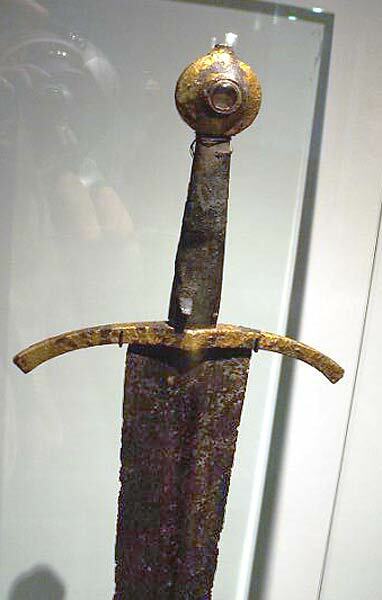 Oakeshott's illustration of this sword in Records of the Medieval Sword, a type XIV from circa 1300-1350, certainly shows a fuller. It probably just didn't show in Manoucher's photos. 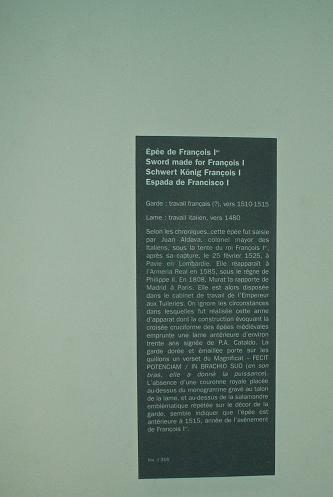 Type XIV. 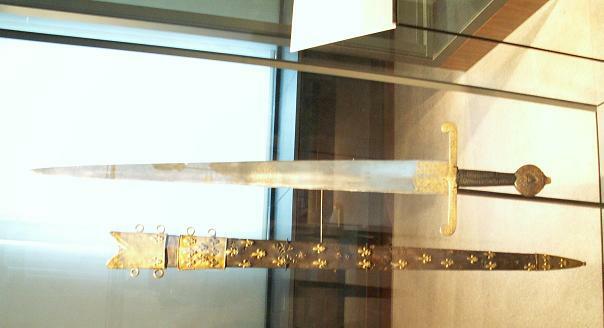 8 from Records of the Medieval Sword. The fuller is a bit more visible in this version, with some exposure compensation. 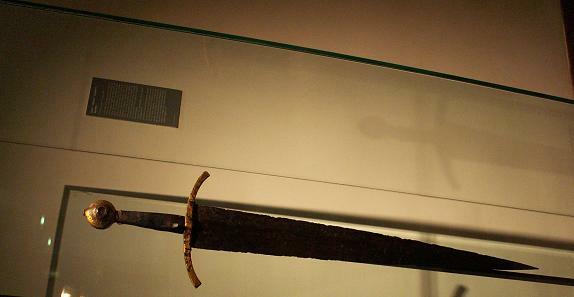 The next sword is attributed to Kind Henry II and is described as an estoc. You are welcome Bruno. Which sword are you talking about? Sorry I am confused. You are welcome Richard. Thanks for the information. Now I see what Bruno meant. Thanks Vincent. Thanks for posting all of these great pictures! 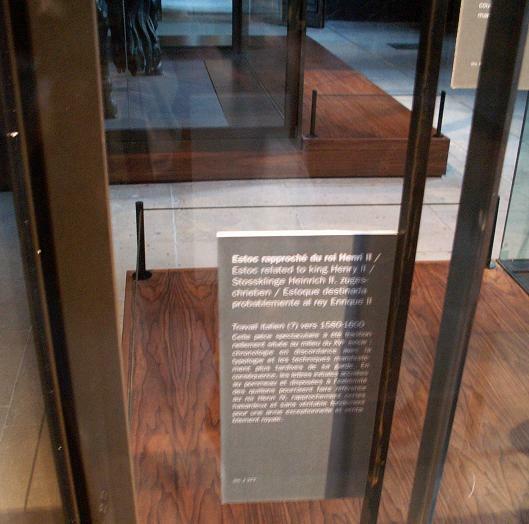 It really makes a difference for someone in an area with not so many good museums. I really appreciate it. 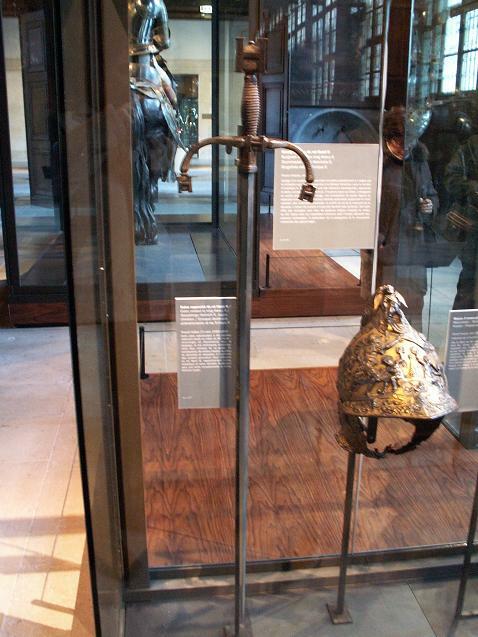 That estoc of Henry II's is awesome. 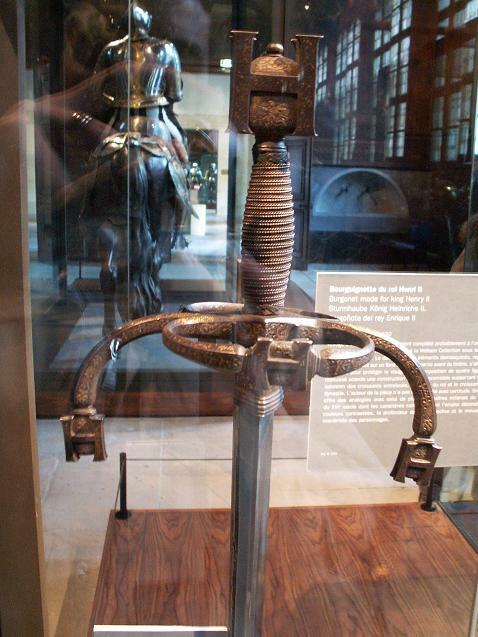 Check out the Hs forming cross-guard finials and incorporated into the side ring and pommel. Very unusual.